Odyssey Day and Answering the Question, Why Catholic? The opportunities and advantages of joining the living and learning community at The Catholic University of America become clearer for hundreds of soon-to-graduate high school seniors on Friday, April 12, during the University’s annual Odyssey Day for newly admitted students. Now in its 19th year, Odyssey Day brings together faculty, advisers, coaches, current undergraduates, and other members of the campus community for a daylong celebration of the Catholic University experience with prospective students and their families. From an official welcome by President John Garvey to presentations on specific academic majors and minors, research opportunities, residence life, internships, education abroad, academic enrichment and support programs, intercollegiate athletics and club sports, Campus Ministry, community service, and more, prospective students get to meet and socialize with their potential classmates and explore together what makes a Catholic University education so distinctive. 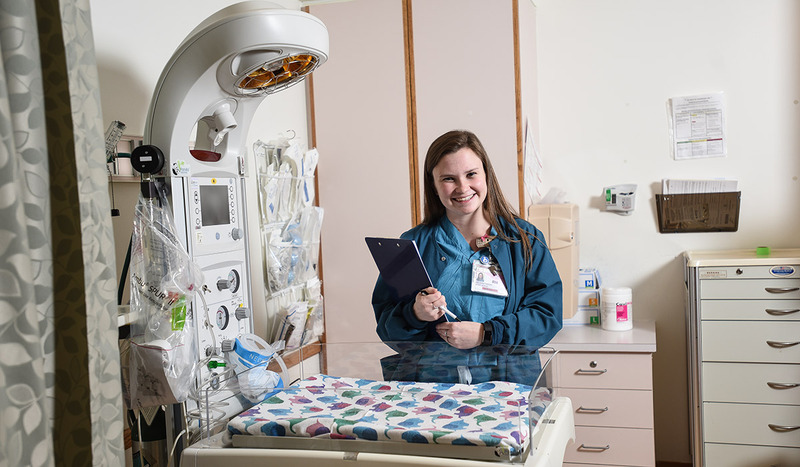 When Megan Seery (‘18) scrubbed in for her first day on the job as a labor and delivery nurse at Virginia Hospital Center, her first thought was, “Wow, I’m ready for this.” At Catholic University, because of the small class sizes and emphasis on research, students have an unparalleled opportunity to explore and prepare for their future profession. Seery credits her preparedness to the personal relationships she shared with professors, some of whom would sit in the library late at night with her class to help them all prepare for exams. She also was able to contribute to original research her senior year, working closely alongside professors and graduate students. Seery’s favorite part about her job now is being a source of comfort to moms and dads in the overwhelming transition to parenthood. “From Catholic, I learned to look at our patients from a whole-person perspective,” she said. Andrea Galeano (`19) is a double major in marketing and Spanish for international service, but she is involved in so much more, too. 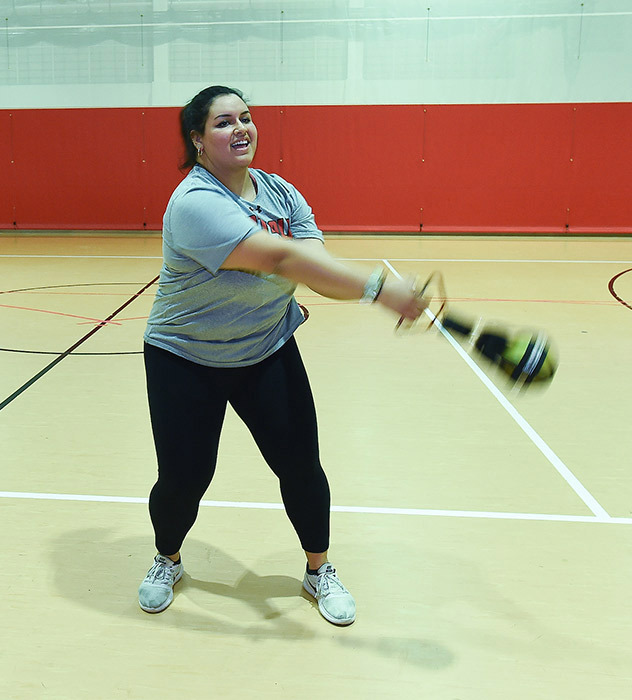 She volunteered this year as an Orientation Advisor and a member of Program Board, helping organize a year of fun-filled events for current students. She travelled with Habitat for Humanity to build homes for the homeless in Sacramento, California. And, she is an NCAA national-championship qualified weight thrower with the track and field team. Catholic University’s student life community understands that academic work is only one piece of the University experience. Many students, like Galeano, also find opportunities to explore and grow in athletics, student leadership, spirituality, language and special interest clubs, music, and so much more. 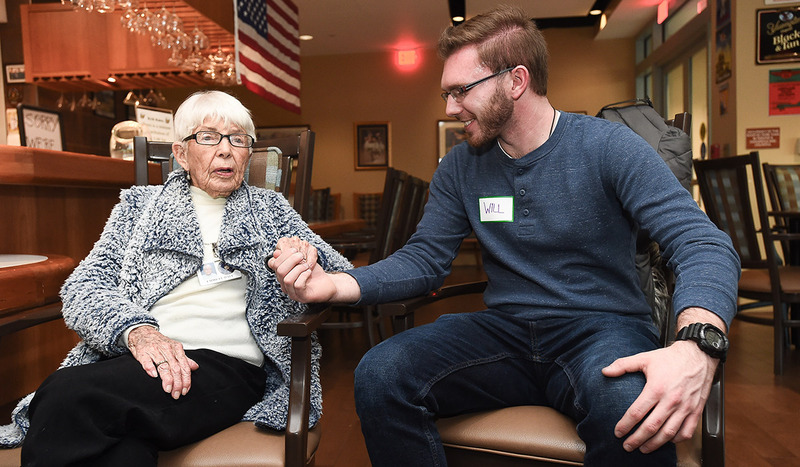 Every Monday morning at 6:30 a.m., William Pinhak (`20) makes a space in his busy schedule to lead a group of students to the Missionaries of Charity Gift of Peace House, a convent and a home to more than 50 aging and terminally ill residents. The students sweep floors, make beds, and help the nuns and lay volunteers with their daily work. “Catholic University makes it easy to get exposure to underserved communities,” said Pinhak. “We have more than a dozen service sites. There is an opportunity for every kind of service you can think of.” Pinhak also volunteers at the Armed Forces Retirement Home (pictured above). Campus Ministry at Catholic University provides multiple daily Mass times, weekly worship opportunities, retreats, spiritual groups for prayer and discussion, social events, and service opportunities. There are four university chaplains and many priests and religious-in-residence as well as student campus ministers in every residence hall. Pinhak said that it wasn’t until he came to the University that he fully realized how much of the Catholic faith he had been missing out on. A double major in architecture and civil engineering, he had big dreams about a career building civic buildings in metropolitan areas. Now, because of the positive experience that he has had, Pinhak has switched his career interest to urban development and affordable housing and wants to complete a year of service first after graduation. Catherine Olohan (`19) is an English major, a member of the Honors Program, and spends many days of her week delving deep into the intricacies of modern literature, discussing literary style, and exploring new ideas. 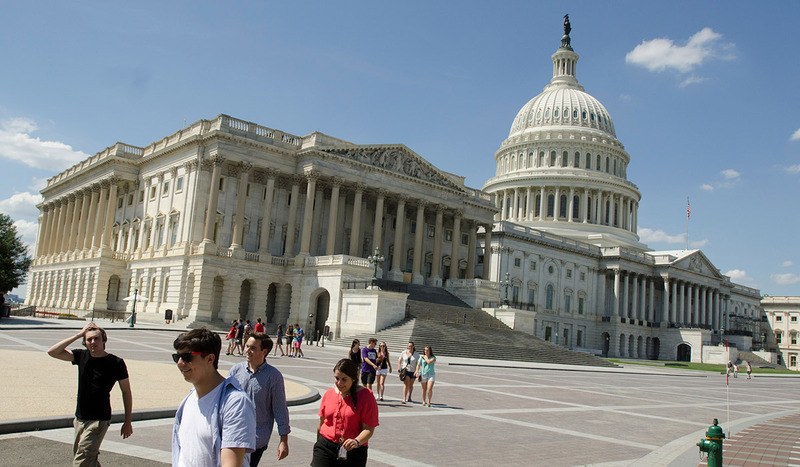 She also joins dozens of other students by immersing herself in the world of work, taking advantage of everything that living in Washington, D.C., has to offer as an intern on Capitol Hill for Congressman Gus Bilirakis from the 12th District in Florida. Catholic University is only a quick Metro ride away from the epicenter of our nation’s capital. Many students, regardless of their field of study, choose to gain real-world experience through jobs and internships at some point during their undergraduate experience. Having the chance to work and explore the city during her college career has made professional life an exciting prospect as she approaches graduation. Being a Catholic University student does not end on graduation day; it’s a lifelong experience. 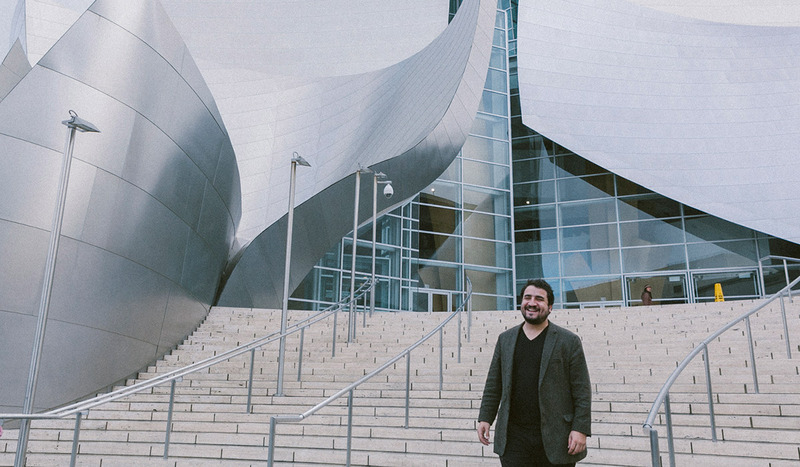 Carlos Bethencourt (`13), an architect at Gehry Partners, LLC in Los Angeles, has now spent six years in the professional world, but still connects, learns, and gives back to the Catholic University community. Bethencourt stays in touch with his former mentor, Carlos Reimers, assistant professor of architecture, who has given him career advice throughout his early professional years. Two years after graduating Bethencourt asked Reimers to join him in a design competition. Reimers agreed, joining the team as a faculty professor in the International Development Bank’s (I.D.B.) Urban Lab competition. Comprised of Reimers and Bethencourt, three international students, and one Catholic University student, the group received an honorable mention for their design, which was later exhibited at the I.D.B headquarters in Washington, D.C., for several months. Bethencourt would also be published in the Bonstra | Haresign Architects DesignLine blog in recognition of the honorable mention award.